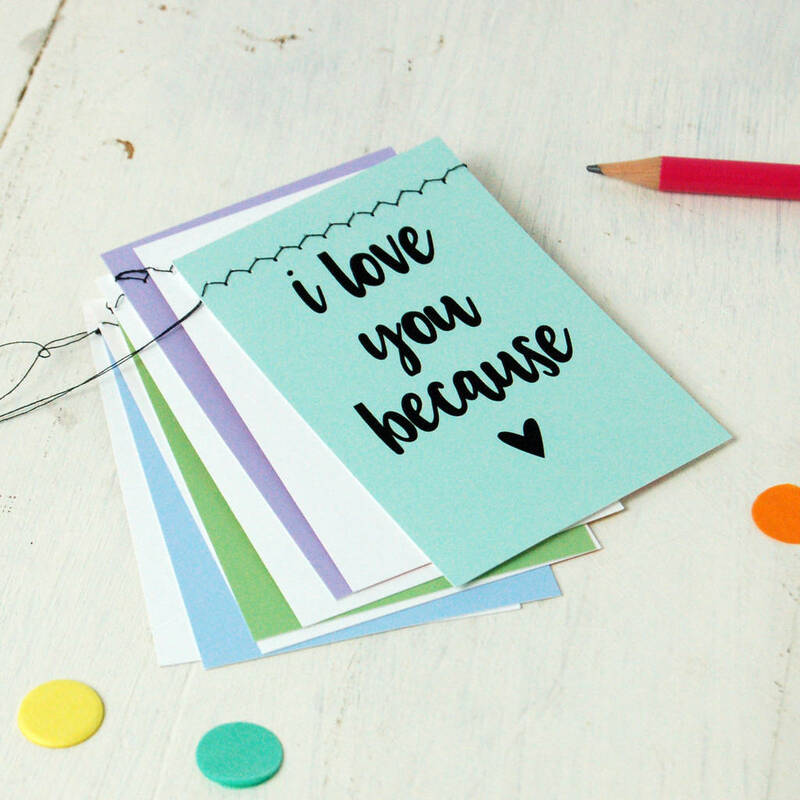 A unique personalised Mother's Day card to tell them why you love them so much. The indvidual card flags are stitched together to make bunting. 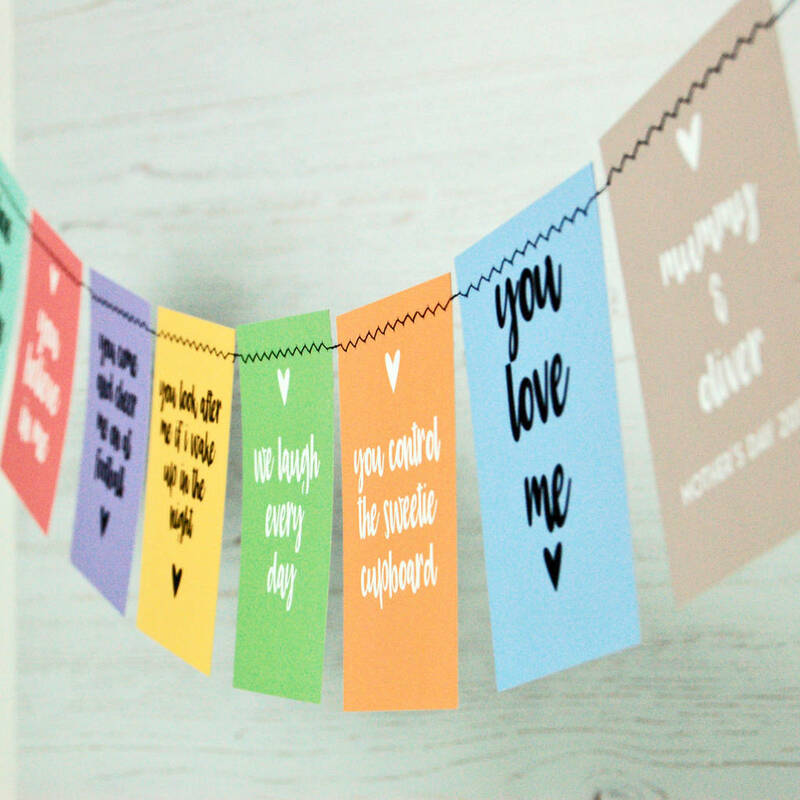 Makes a wonderful keepsake bunting garland with your own reasons printed onto 6 of the flags with the first reading 'I love you because' (or we love you if from siblings) and the last with a personalised message - such as names and a date. 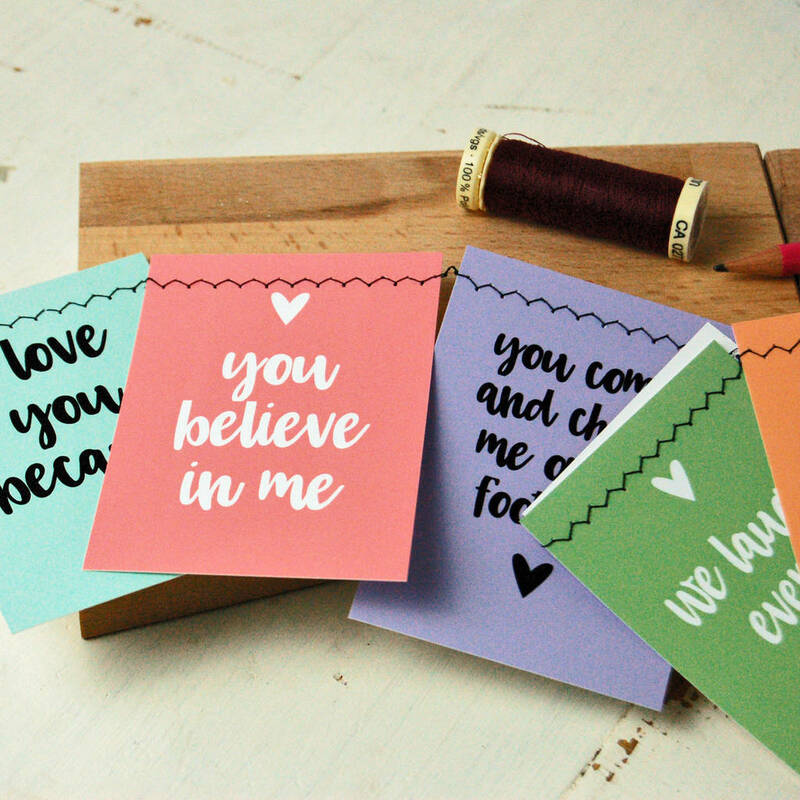 Printed in beautiful pastel shades with an attractive script font in black and white. Add your personalisation info where indicated. 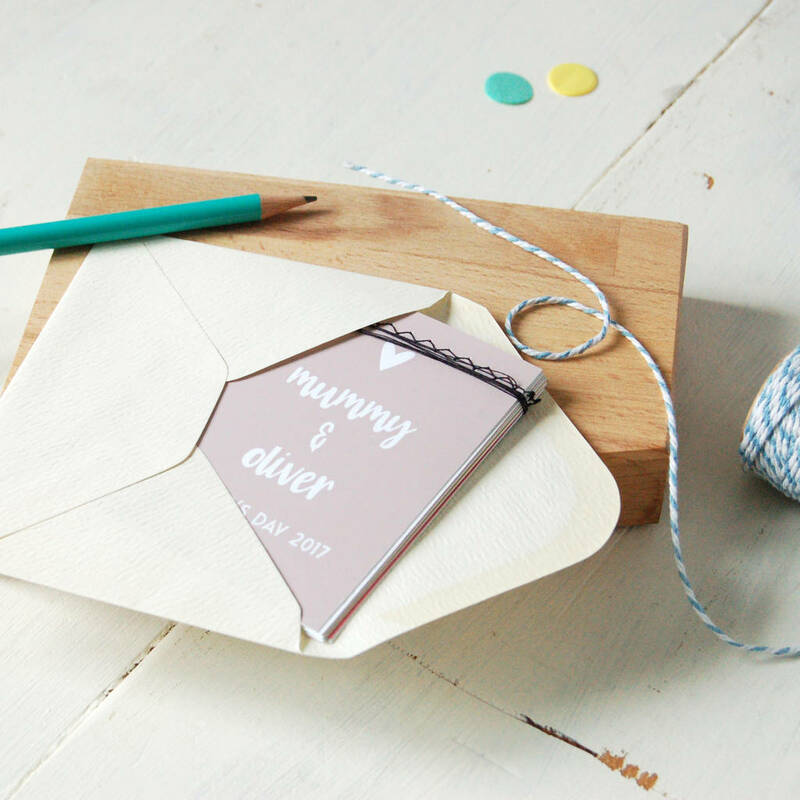 Each flag folds along the thread into a neat stack to slip into the envelope ready to send, just like a card. 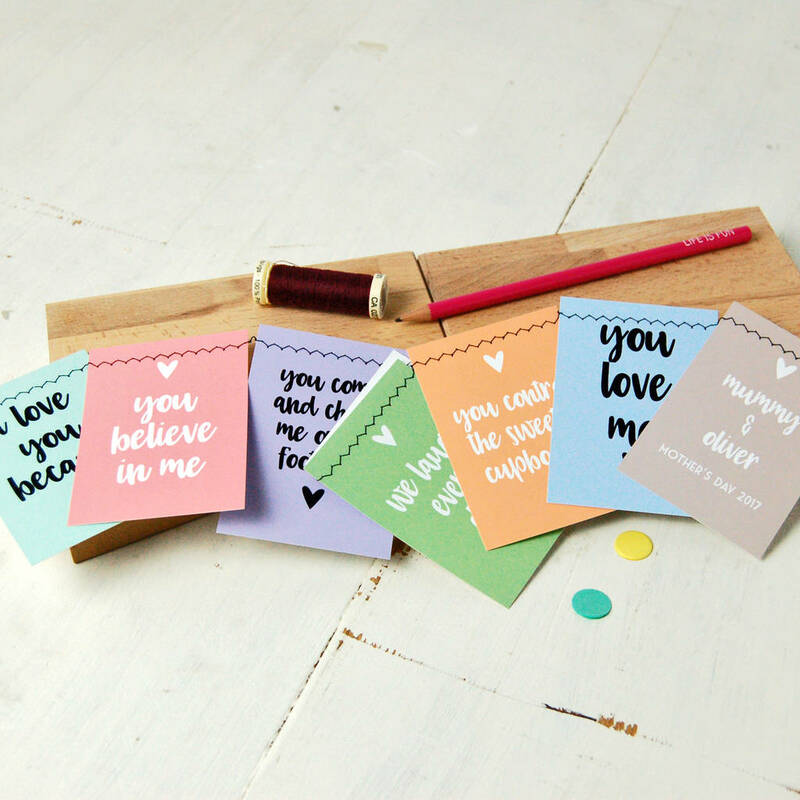 Each piece of bunting is made from 240gsm archival quality photographic card. Zig-zag stiched together (pretty, but also to give strength) in a 100% cotton contrasting coloured thread. Envelope included. Cellophane wrapped and sent in a board backed envelope. Each piece of bunting is 10cm x 7cm.